When we talk about a search-and-find extravaganza, this is what we mean. 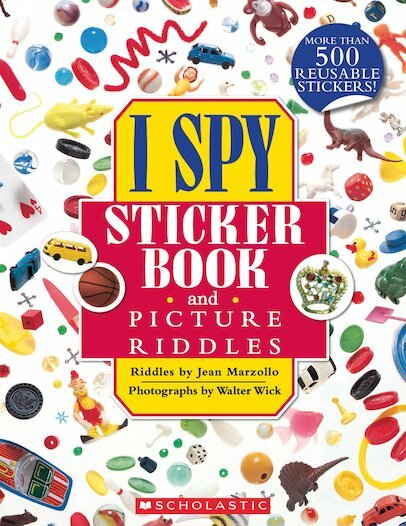 A book of awesome I Spy spotting games, plus over 500 reusable stickers to add to the colourful pages. Feast your eyes on Walter Wick’s magical photo scenes. He makes them by placing tiny model objects into incredibly detailed 3D scenery, and then taking photos. Smart! Spot dozens of treats in his stunning picture scenes, and complete fun puzzles with your stickers. You can even create your own seek-and-find quests. Perfect for journeys and holidays!